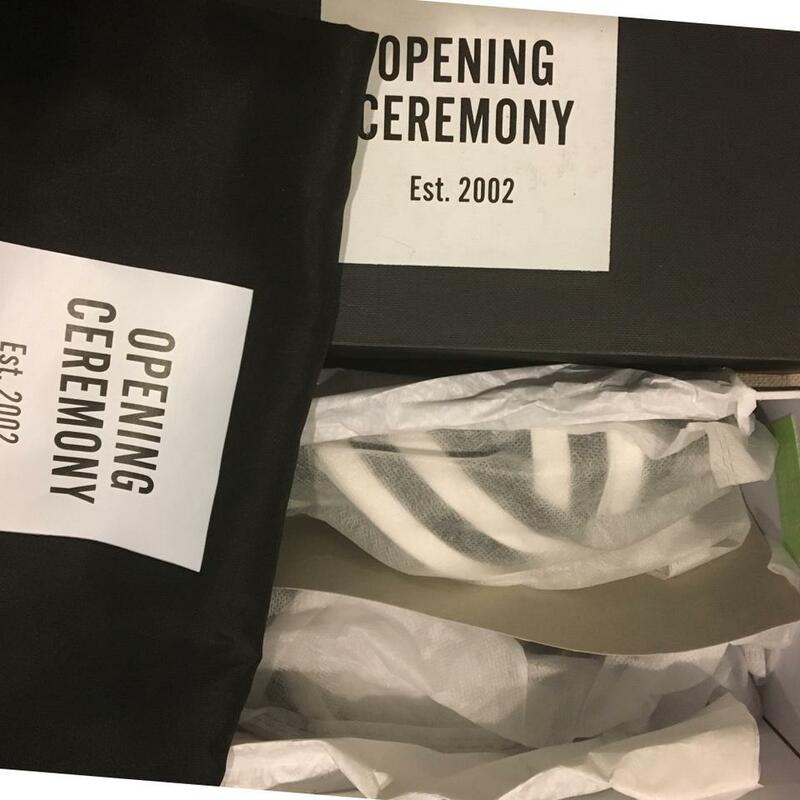 Brand new in box, with dustbag. 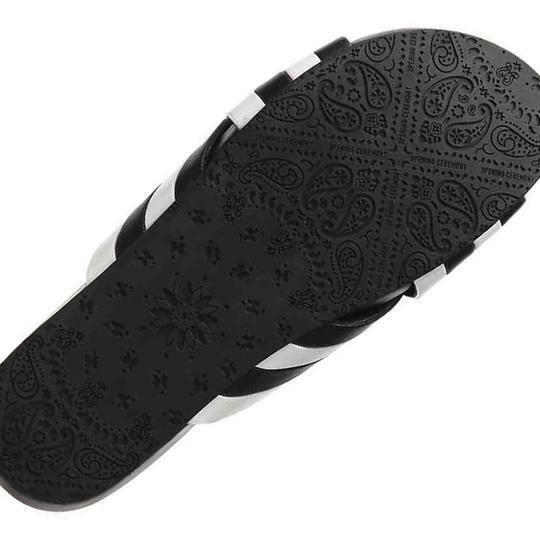 Size 36= US6. 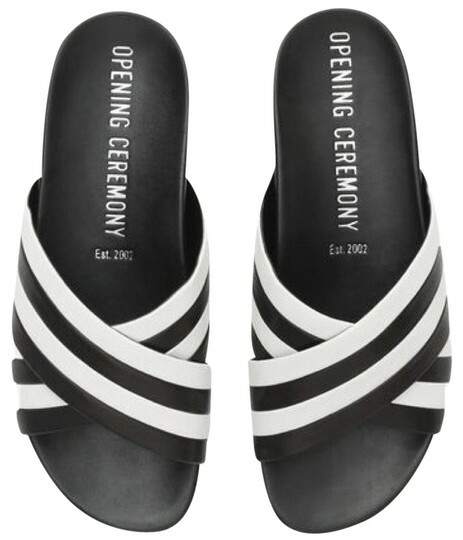 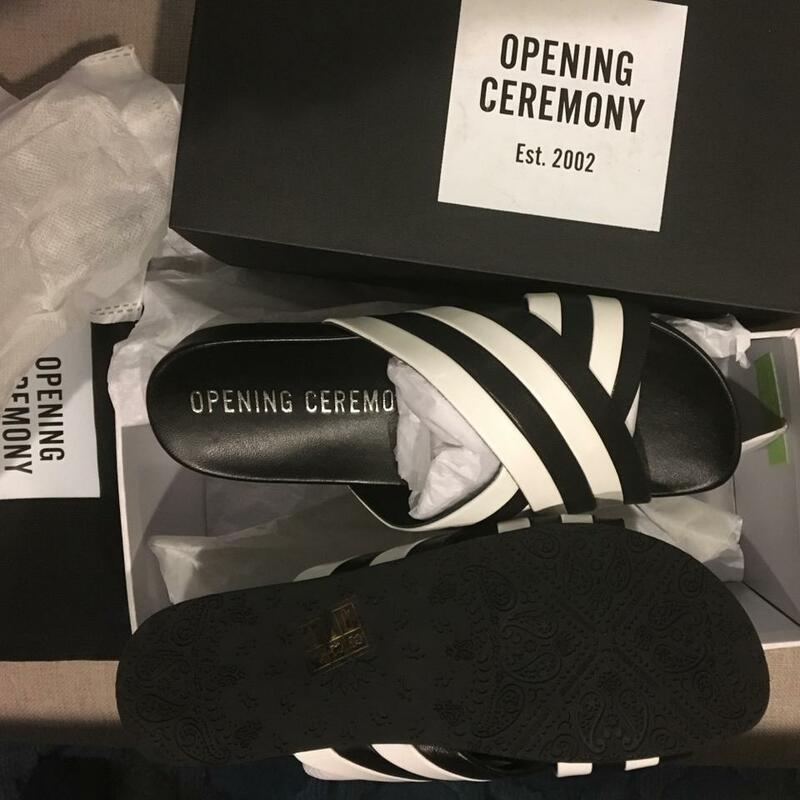 A striped, crisscross leather vamp accents these casual Opening Ceremony sandals. 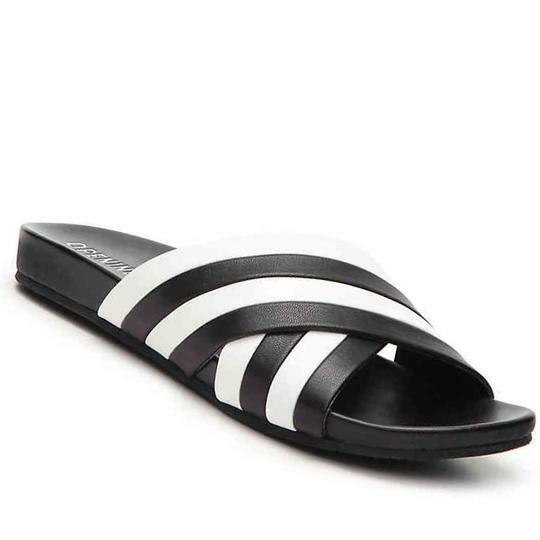 Sleek stripes lend contemporary attitude to an athletic-inspired slide sandal done in smooth leather. Leather upper and lining/rubber sole. 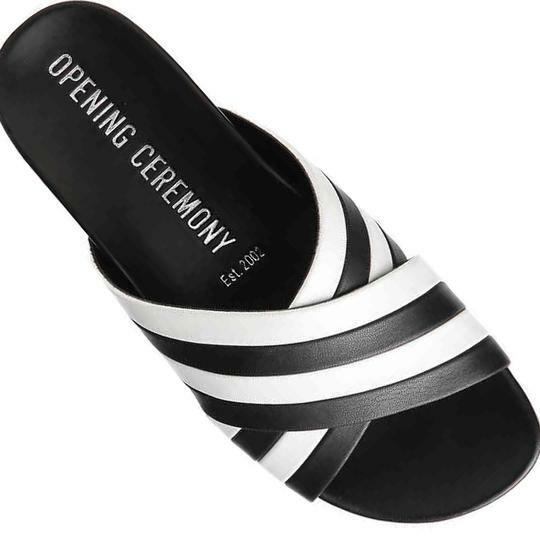 Opening Ceremony is a true cult label with a multi-national approach to fashion. 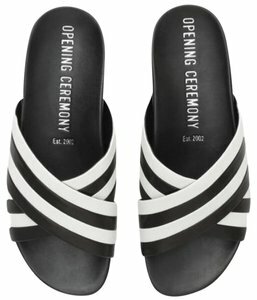 Showcasing designers from around the world, it's the place to turn to for emerging international talent. Having already collaborated with the likes of Maison Martin Margiela and Rodarte, a partnership with Opening Ceremony is now one of the most desired in the fashion world.